If you expand the Controllers folder, you should see a file named AccountController.vb and a file named HomeController.vb. If you expand the Views folder, you should see three subfolders named Account, Home and Shared. If you expand the Home folder, you'll see two additional files named About.aspx and Index.aspx (see Figure 3). These files make up the sample application included with the default ASP.NET MVC template. 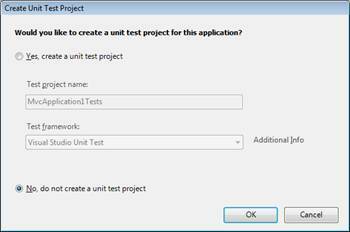 A controller is just a class (for example, a Visual Basic or C# class). 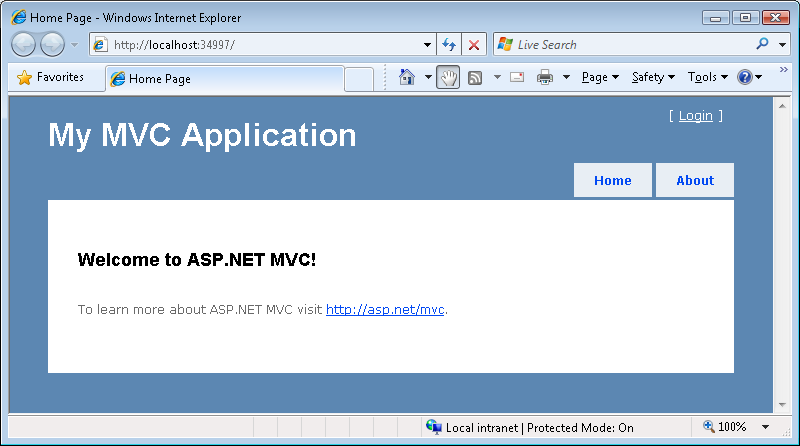 The sample ASP.NET MVC application includes a controller named HomeController.vb located in the Controllers folder. 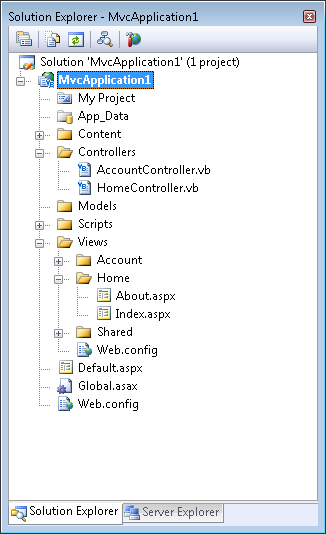 The content of the HomeController.vb file is reproduced in Listing 2.